Strata DK280 expansion cabinet with RPSU280 Power Supply and Battery Charger. Maximum one per RCTUB system. One to five per RCTUC/D system. 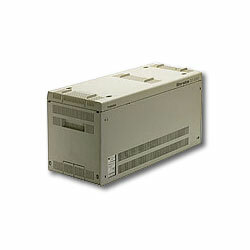 Toshiba Strata DK280 Release 2 Medium System Common Control Unit.